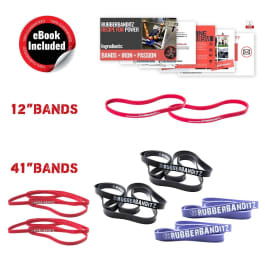 This trifecta band combo equips you with the full range of assistance required for all band and assisted body weight training essentials. Accelerate forward along your calisthenics journey by dramatically improving your pullups, muscle-ups, front lever, handstands, flags, and back lever and planche progressions. 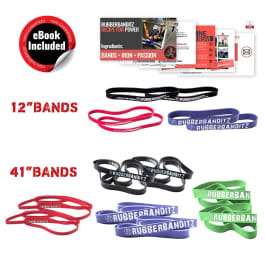 This complete full line of gym-series bands boasting every resistance level from 5-350 lbs (2-160 kg) you and/or your clients will need for a full body functional training session. 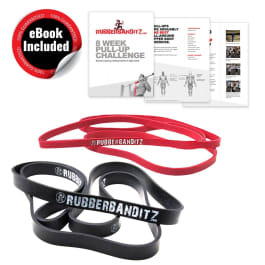 This comprehensive suite of bands is widely used for capturing both ends of the resistance and assisted body weight training spectrum. Resistance training refers to adding load by pushing or pulling against the band and assisted body weight training allows the bands to compliment and ease your natural movements. 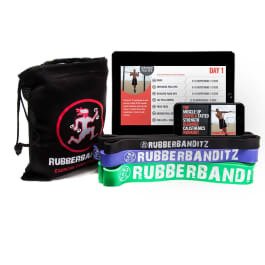 This dynamic calisthenics band duo provides a solid assisted bodyweight training platform for all cornerstone street workout exercises, including: pullups / muscle-ups, human flag, handstands, planches, front levers, and back levers. 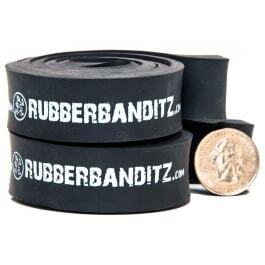 This is excellent when used as lightly assisted pull up bands. 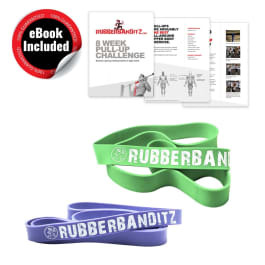 This multifaceted band is a great middle ground for many functional training, strengthening and stretching exercises - particularly for larger muscle groups. 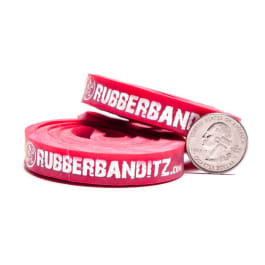 Also effective when used as plyometric bands and agility training bands. 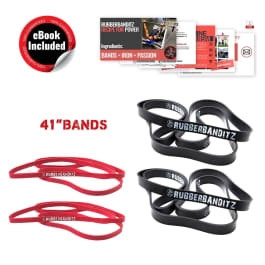 This is perhaps the most versatile band we offer because it can be used for a complete range of mid- to high-level resistance exercises. 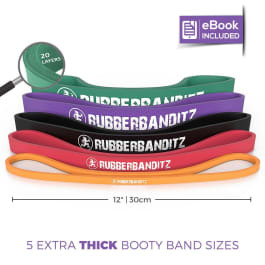 Among fitness functions these workout bands are used as: general strength training bands, rehabilitation bands, stretching bands, Pilates bands and explosive training bands. 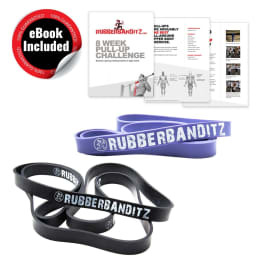 The basic package PLUS a heavy band to intensify your workouts. This is the perfect package for anyone looking to throw their weight around and/or increase muscle mass. This hearty package can accommodate ALL resistance needs, big or small. 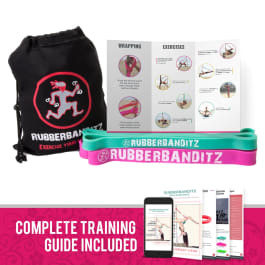 Runs the resistance gamut from the light band, which offers between 5-15 lbs (2-7 kg) of resistance, to the robust resistance band, which offers between 40-80 lbs (18-36 kg). 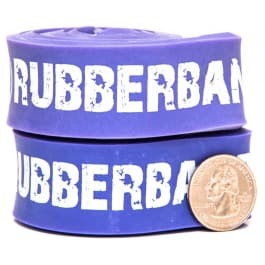 The light circular band plus a medium band for higher resistance exercises. 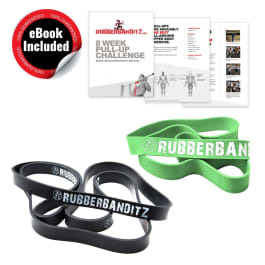 The combination of these two bands permits almost every full-body exercise possible. They'll allow you to stretch, strengthen and tone your upper body, lower body and core. 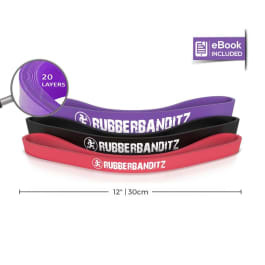 The medium band is twice the resistance of the light band; 1 MEDIUM BAND = 2 LIGHT BANDS. Combine the two light exercise bands for the equivalent of two medium resistance bands to work out with. 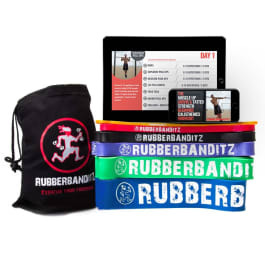 These packages set the standard for mobile gyms.